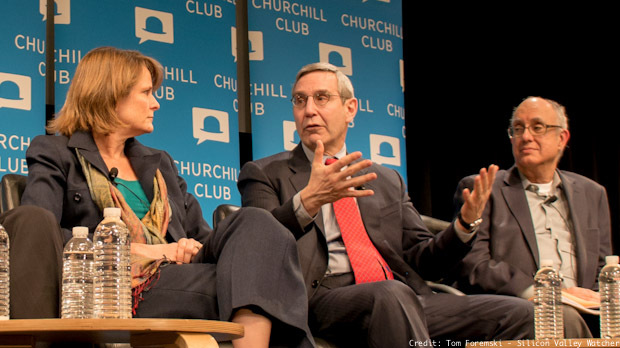 CEO Richard Edelman (center) discusses "trust" at a Churchill Club event in 2013. Public trust in business has plunged across the world and is harming consumer acceptance of innovation, according to a survey of 27,000 people in 27 countries by Edelman, the world's largest PR firm. The 15th Annual Edelman Trust Barometer found levels of trust in business, government, media, and NGOs had sunk below 50% — a crucial marker — in the US, UK, Germany and Japan, in two-thirds of countries surveyed. Public trust in business had been a rising trend in prior years and represented a recovery from the financial crisis of 2008/9. The release of the Trust Barometer report is timed to the same week as the World Economic Forum's Davos conference. CEO Richard Edelman (above) is always very active at Davos as a speaker and presenter. For the first time, the survey asked the public questions about their perception of innovation. Very few, (24%) accept the idea that innovation is making the world a better place. Arun Sudhaman at Holme's Report, called it a "blow to Silicon Valley." A majority of respondents believe innovation is happening too quickly (51%) and that it is being driven by greed (67%) and business growth imperatives (66%). More than half (55%) feel business is not doing enough testing on new developments. Consumers also want stronger regulations of these innovations by a four-to-one margin, yet only 20% have confidence that government can do it effectively. 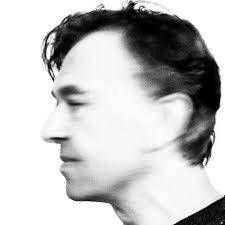 "The atmosphere of distrust is undermining innovation and the pace at which those innovations are moving to market is also confounding the level of trust in them," Edelman global corporate practice chair Ben Boyd told the Holmes Report. Boyd admitted the findings had "big implications for Silicon Valley." The Edelman Trust Barometer is always a fascinating read but also frustrating because the object of its study, "trust" is not easily defined, or definable in a standard way across cultures, and it certainly has no units of measurement. The Annual Edelman Trust Barometer is not a scientific instrument as a barometer is, but it does give us a rare glimpse into which way the global winds are blowing, and what that smell is.